Here's a news reader service for those looking to switch away from Flipboard, Zite, and the like because the services are too noisy and don't offer enough control. Curata Reader is one of those minimalist news readers, only with a twist. It was developed by a company that sells a content curation platform as a service to corporate customers, and it is more or less a free consumer-level demo of the paid service. 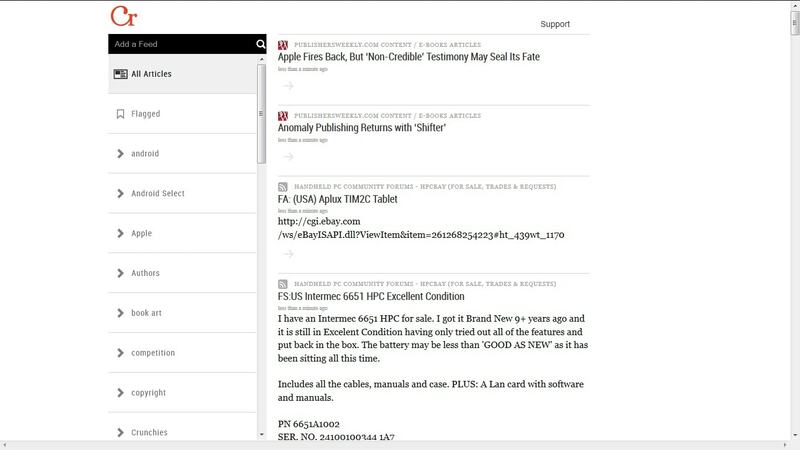 Curata Reader offers little more than a list of feeds on the left and blog titles on the right. There's no bookmarking, sharing options, or reading modes. Just about the only feature that Curata Reader offers is that you can set up filters on your account. You can filter the entire account, specific folders, or feeds, and you can choose to exclude or include words or phrases. The service also offers automatic curation that is intended to show you the most relevant articles, but in my case I am not sure it succeeded. I'm not really interested in seeing months old news stories today. But on the plus side Curata Reader was able to import my entire subscription list, and it properly displayed all the folders. It also offers an export option. As of late June, Curata Reader had a userbase in the tens of thousands, and I can see why. While this service isn't for me I can see how it could be used to build a custom set of filters for a self-directed curated reading experience. Of course, filters do have a downside. Add too many and you run the risk of missing relevant content, which is why I prefer unfiltered news feeds. I have gotten adept at plucking the good stuff from the fire hose of content as it flies past.